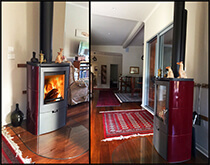 Designed and manufactured by Brunner in Bavaria, these heaters are maximized for Australian wood heating conditions. 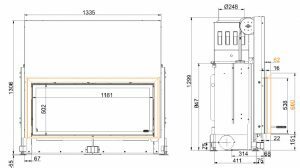 Brunner represents the pinnacle of German made wood heaters. 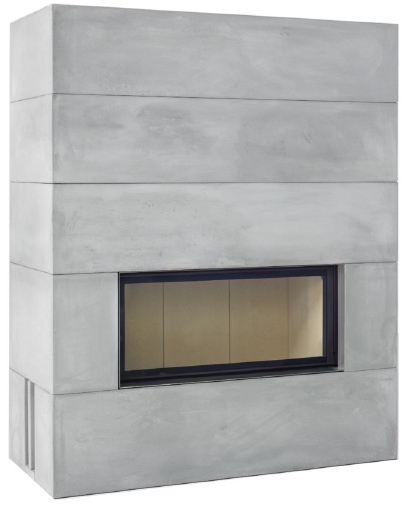 The designer inbuilt refractory kit of the Brunner BSK6 allows an uncomplicated, cost effective and safe installation. A traditional brick installation is also possible. 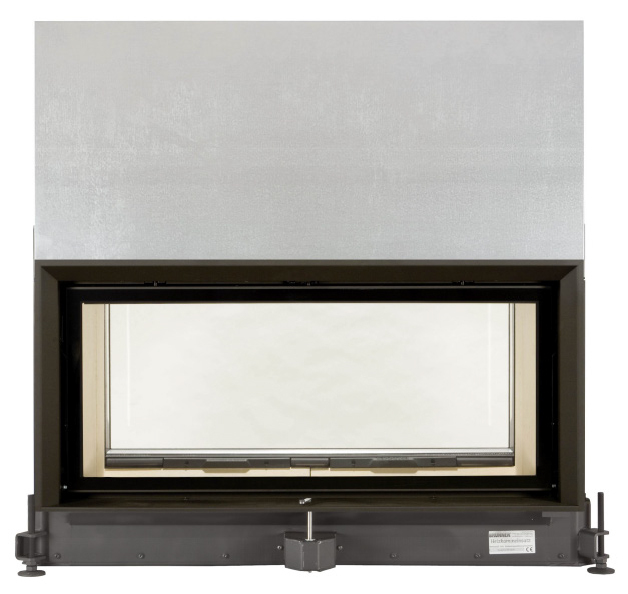 The Brunner BSK6 is highly efficient with low emissions. 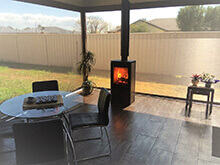 At a medium heat output of 14 kw, the heaters should be used as an intermittent wood heater that, with correct operation, will not only produce a beautiful picture of a perfectly clean burning flame but also will cover most of the heating needs of an average sized house using highly effective natural convection combined with heat storage. 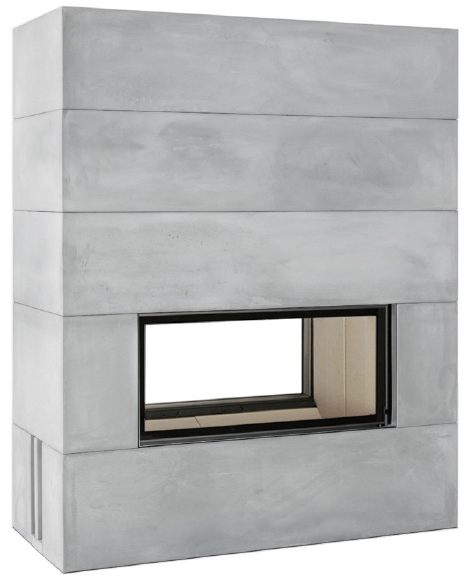 The designer inbuilt kit can be finished with paint, render, tile or a stone cladding. 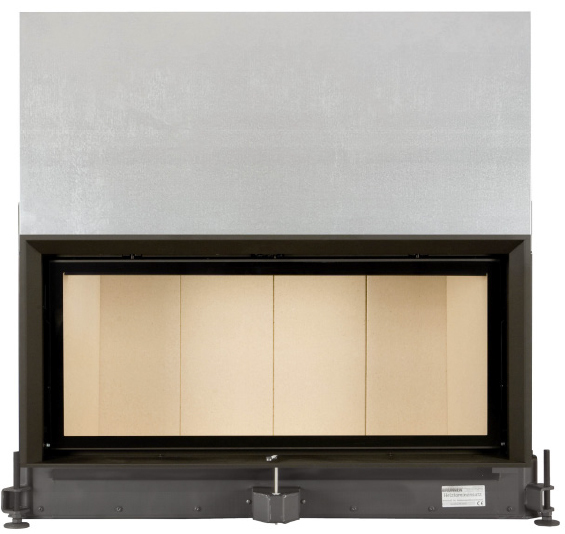 Designed for an exposed flue installation for maximum efficiency, a full enclosure up to the ceiling is also possible. 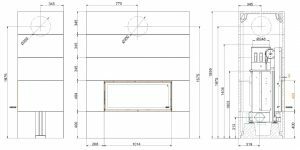 The kit can be assembled by your builder with guidance from Euro Fireplaces; alternatively Euro Fireplaces provide trained kit installers with the final finish left to your builder. The flue installation must be done by a licensed plumber. We are so pleased with the Milano we purchased from your dealer in Fyshwick in Canberra. We have just come through one of the coldest Winters on the NSW South Coast in over 50 years. The Milano has done a fabulous job of heating the entire top floor of our house providing us with a true haven from the cold and damp outside. We have also been amazed at how efficient it is. 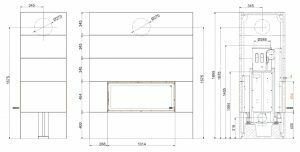 We will certainly recommend Euro Fireplaces to our friends. 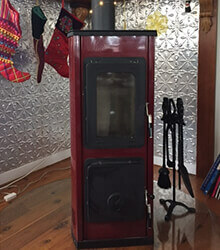 My new Olbia is using a fraction of the firewood I needed for my old heater, while at the same time it easily burns overnight, I love it. Loving our new Andorra fire it compliments our room, beautiful fire! A wonderful fireplace! Very easy to light and clean, when you follow the manual it runs beautifully and keeps us nice and warm. I am very happy to sing the praises of our Falun. It continued to keep us warm and very comfortable all winter. It was unfailingly easy to light and to clean out. My husband was seriously impressed by the fuel consumption. We are so thrilled with our Euro Fireplace. 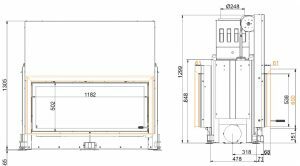 We light it in the alfresco area and if we leave the doors open it heats our living and dining rooms as well. The interior is as clean as the day we bought, and there is barely any smoke at all (which makes the neighbours happy), I would recommend to anyone. Thanks Euro Fireplaces, very happy customers and using 1/4 the wood we would normally use in the winter.